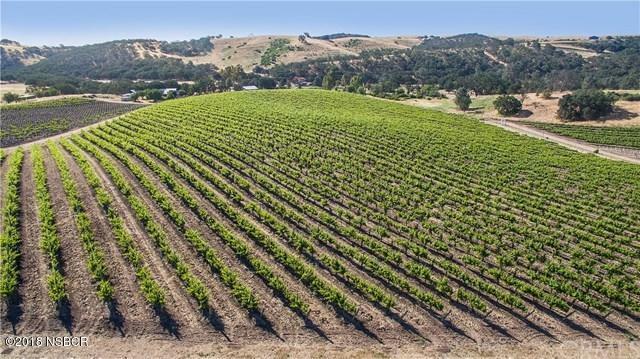 23+ acre vineyard property located in the El Pomar Sub Appellation of the Paso Robles AVA. Hwy 41 E. Frontage that includes flat usable land. This award-winning Zinfandel, Grenache Blanc and Petite Sirah vineyard thrives on this ideal site. The vineyard is 726 vines per acre on 6x10 spacing. Drip irrigated from a 20,000 gallon holding tank. 10 acres planted in 2001 split across Grenache Blanc and Petite Sirah on 5BB rootstock. 6+ acres of head-trained Zinfandel recently planted with the Uberroth selection and Deaver clone on St. George rootstock. Non-permitted home. Directions to Property: Property is on the left of E. Hwy 41, just before Foxdale Farms Olive Oil. The driveway on the left.